Got a music program that kids and parents love? Let us help. You have the students and the classroom. We provide the curriculum, teacher and equipment. 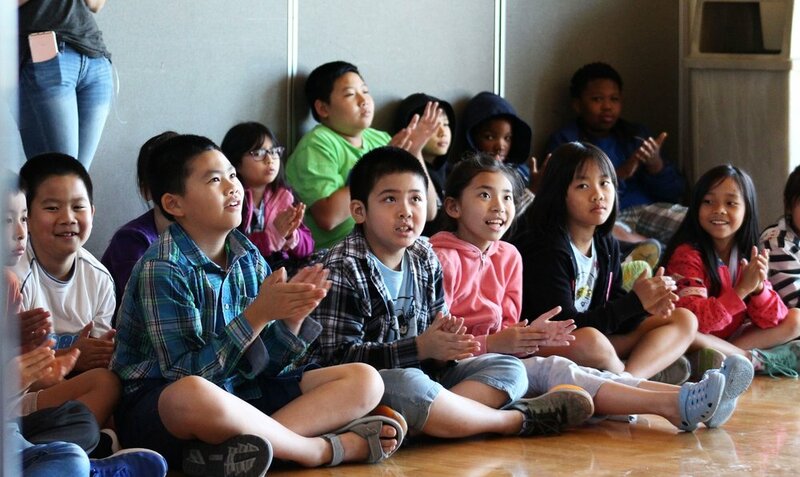 Our K-8 music curriculum and teaching expertise can be YOUR in-school music program. 1. Jazz is a Black American art form shared by all cultures domestically and internationally. ● Our curriculum gives students a musical foundation through the rich, historical lens of jazz. ● Students learn about the origins of jazz as a uniquely American art form, including the history of jazz and blues and the ways that jazz continues to influence music created today. ● Students learn to appreciate and understand the importance of past and present artists and composers in many genres, including jazz, Latin music, hip hop, popular music, world music, and Western classical music. 2. Jazz uses improvisation and individual interpretations as a powerful means of expression. ● Ours is an active music-making curriculum that aligns with the National Core Arts Standards of Creating, Performing, Responding, and Connecting. ● Through improvisation and individual interpretation, students develop self-expression and understand how music can tell stories and even affect social change. ● JazzED K-8 dovetails effectively with further instrumental and choral instruction at the secondary level. We are committed to making high-quality music education accessible to all students. Accordingly we charge a sliding scale fee for the K-8 Curriculum in Schools program, based on your school budget and number of students who receive tuition assistance. Please contact Kelly to get a fee estimate based on the services you're looking for. Call or email to schedule YOUR free consultation! Seattle JazzED offers year round music programs including big band ensembles, master classes, workshops and summer camps, and is known for innovative educational initiatives like the New Works Ensemble, the Girls Ellington Project and Summer Jazz Ambassadors. Thank you for subscribing to Seattle JazzED e-news list. Check your inbox for an email from us. You must confirm e-news subscription link and then you're all set! Your gift makes music possible.